I got into a car accident on the highway one and a half year ago. A car didn’t see me hitting the breaks and bumped into my car. In the end no one got hurt, luckily. But afterwards I noticed I was feeling anxious while driving sometimes. My driving behaviour became more like that of a grandma, no offense, and I noticed my breath started to be less fluent while driving. I looked it up and actually think it was some sort of hyperventilation. Hmm.. At the time I was driving to and from work over that same highway most days of the week, so I knew I had do deal with it. I found ways to feel normal while driving. At first it was having a half hour phone call with my boyfriend during driving, but then we didn’t have much to say to each other the rest of the evening. Then I tried singing out loud in the car, but I don’t know all the lyrics to every song, and then I got sick of listening to the same old playlist over and over. Also, I lost my voice at one point. Must’ve been nice and quiet for some people. I realized that as long as I distracted myself from thoughts about ‘what could go wrong while driving’, I was breathing perfectly - as far as someone with a chronic cold can, haha. That’s when I discovered the magical world of podcasts. The first podcast I ever listened to was about the ‘Law of Attraction’. This subject came to me when a friend told me about it and how it worked for her. I wanted to learn more, because it felt like I was conscious of this as a child, but forgot along the way. So I ended up typing it in Spotify and found a big amount of episodes on the matter. I started somewhere and bam, one and a half year later I’ve listened to countless hours of podcast magic on all different subjects, but most of them are in the self-care corner of the podcast library. There are many, many podcasts on basically every topic you’re interested in, from comedy shows and horror stories to psychology, science, anything! I want to tell you about my favourite five shows that helped me learn a lot about self-development and share why I think these are so wonderful! 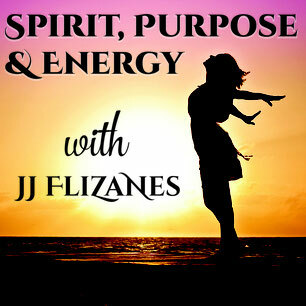 Like I mentioned, I started listening to ‘Law of Attraction’ themed episodes and stuck to this podcast by JJ Flizanes. She discusses many topics that fit under the umbrella of spirituality, happy and conscious living and she mixes her own experiences with those of others and is able to explain everything in a way that feels honest and true. One of the first things I remember is how the Law of Attraction is being misinterpreted by movies and books like ‘the Secret’. It really caught my attention and I started listening to more of her episodes. I like JJ’s voice and what’s funny is how I imagined JJ to be a brunette. Fun fact: she’s very blonde! It made me giggle when I found out. British male voice, hmmm. Me likey. But not just that, I hope I’m not that shallow! Tony Wrighton is a presenter on Sky Sports in the UK and focuses on living with more energy, vitality and motivation. Isn’t that what we all want in our lives? Tony does a lot of interviews with people that are specialized in a certain field. He always starts his intro walking around the park near his London apartment, which I vividly imagine him doing. Sometimes even in rain, yes! Then he does the interview, which always sounds like he’s talking with really close friends. I remember some of my favourite episodes, e.g. #118 about relationship skills with John Gray, the author of the book ‘Men Are from Mars, Women Are from Venus’. I learned so much about how hormones affect me during and around my cycle. Very interesting. Another fun episode was the one where Tony was in Thailand visiting Brett Moran and they both discuss digital addiction and how it distracts you. Brett has a really inspirational story, just like many other guests on this podcast. 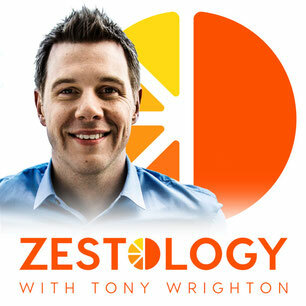 Give Zestology a go! This one is by Lena Dunham and I loooooove her. To me she is one massive inspirational body positivity taboo breaker. I admire her to pieces and her HBO series GIRLS is -still- my favourite. 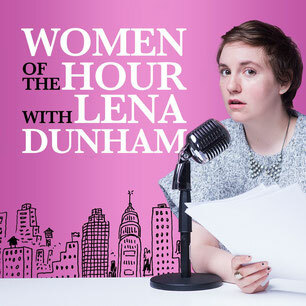 I miss that show, so every once in a while I listen to one of these episodes, just to hear Lena’s voice. This podcast miniseries is about friendship, love, work, bodies and a lot more. You know how Lena doesn’t do taboos, well, that’s what you can expect when listening to Women Of The Hour. 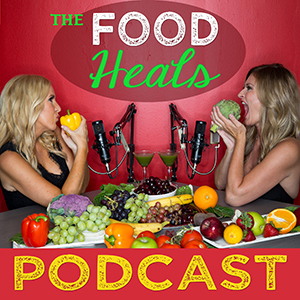 This podcast is new to me, but as a vegan I only can admire and support ‘Food Heals’. I want to share this podcast with you because of the recent episodes 205 to 209. These are about subjects a lot of us want to learn more about, such as money mindset, manifesting, stepping into your truth and how to start a love based business. This year I signed up for Spirit Junkies Masterclass by Gabby Bernstein and am happy to call her my teacher. You can listen to some of her very motivational stories in these episodes. But besides these special themed episodes, I will definitely start listening to the regular episodes as well as I really like the vibe of the hosts Allison Melody and Suzy Hardy. ‘Hello, my chickens..’ is how Master Certified Confidence Coach Kara Loewentheil calls her listeners. And when listening to her I usually say that sentence right before she does, haha. This is an amazing podcast! 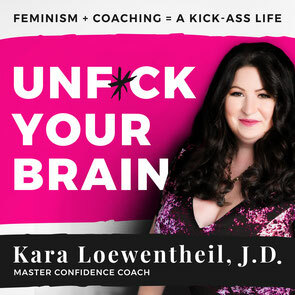 Kara is a powerful, intelligent force of nature that focuses on helping feminist women who struggle with anxiety, self-doubt and imposter syndrome. In every episode she tackles a subject and she’s able to really break it into pieces in ways your mind is blown. Hence, the title of the podcast, wink-wink. What I’ve learned from Kara so far is a lot, but I will share three things: I learned how my emotions work, how in general we take responsibility for other people’s feelings (and shouldn’t) and I learned how to love myself more, which doesn’t mean I’m being arrogant. It’s necessary for all of us to love ourselves more. This podcast is fantastic and eye opening in a real fun way. Thank you, mama chicken! Well, that’s a lot of content. Maybe next time when you’re on the train, your bike or in the car, play a podcast instead of a playlist and let me know what you think of it! 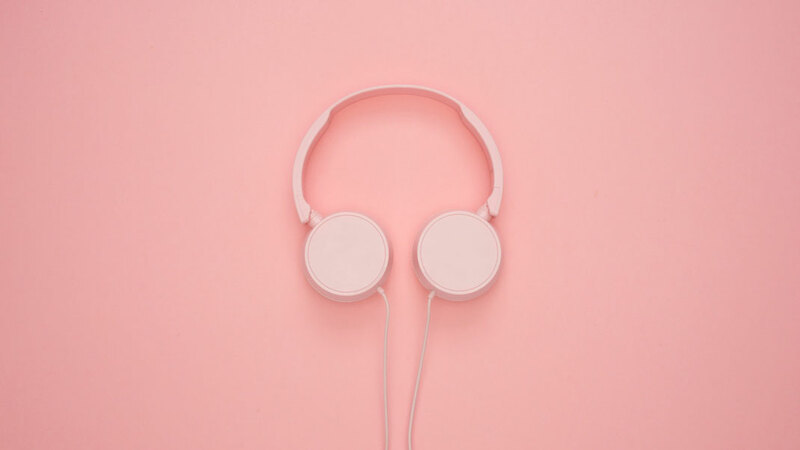 Please share your favourite podcasts in the comment section below, because I’m never done discovering new podcasts!